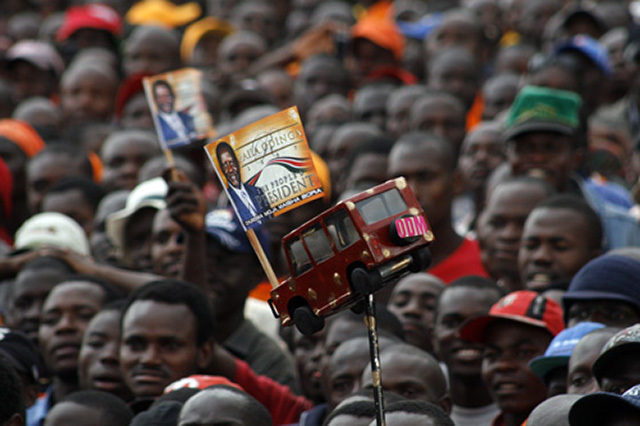 Orange democratic movement supporters in Kenya. Photo courtesy of DEMOSH via Flickr Commons. Politics is indeed a tricky affair judging from the recent “Golden Handshake” between political giants and arch-rivals, with Uhuru Kenyatta and Raila Odinga marking the end of the prolonged electoral crisis in the country. The newfound friendship has rebounded the stock exchange, revamped tourism, and excited foreign investors who are now optimistic of rainy days ahead. However, will the gesture provide an impetus for the much-needed constitutional democracy, and guarantee civil rights and liberties in a way that will lead Kenyans to Canaan? 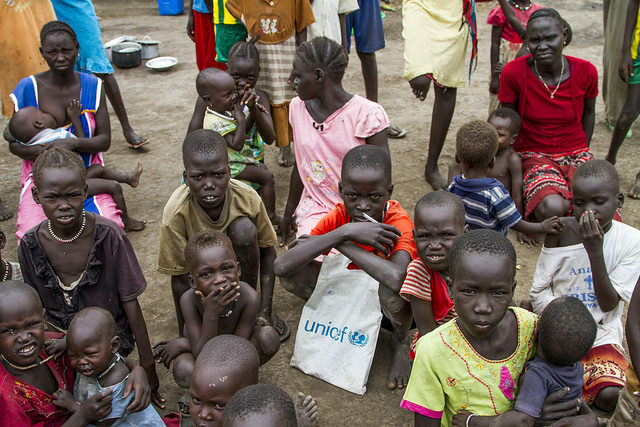 A group of children at a South Sudanese refugee camp in Gambella Ethiopia. Photo courtesy of UNICEF Ethiopia via Flickr Commons. 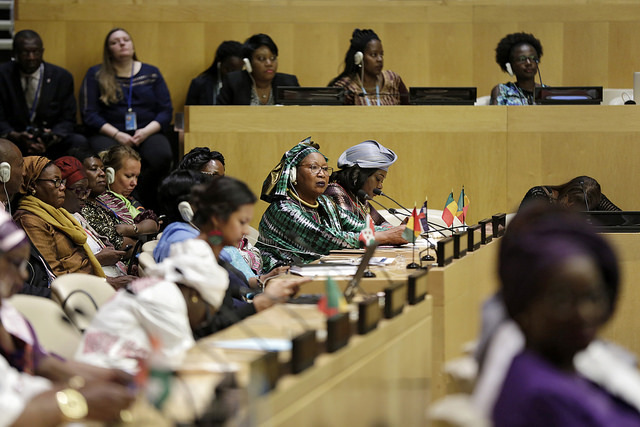 Historically, the international community’s response to conflict in African countries has been too weak, too little, and sometimes too late, such as the case of the delayed international intervention in the Rwandan Genocide. However, since the signing of the Comprehensive Peace Agreement in 2005, South Sudan has recorded an overwhelming presence of the international community in support of peace and ending the civil war. The question remains then, whether the international community will learn from past mistakes in their efforts to support peace and rebuild South Sudan. 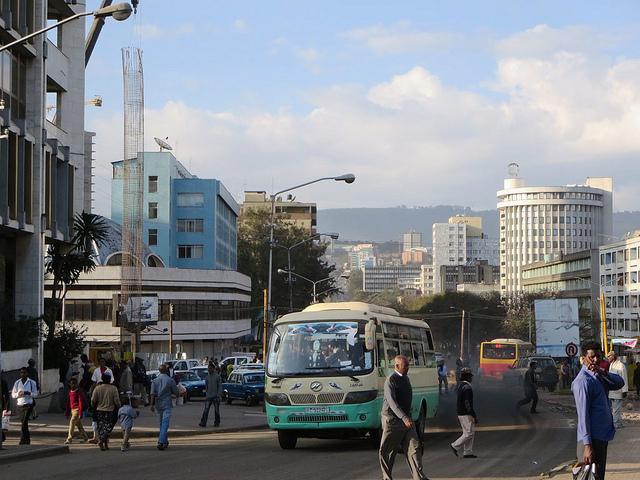 Gambia Street in downtown Addis Ababa, Ethiopia, bustles with traffic. 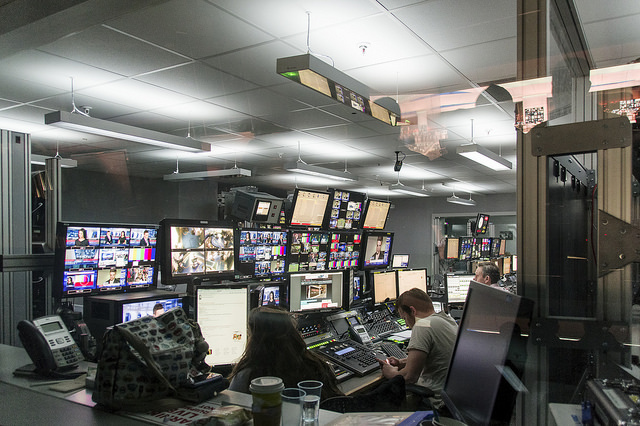 Photo courtesy of David Stanley via Flickr Commons. On May 22, 2017, President Salva Kiir officially launched the National Dialogue in South Sudan. 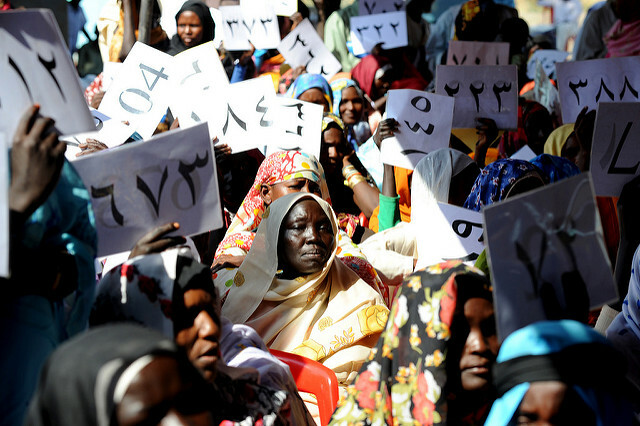 This National Dialogue process aims to address the complexities of South Sudan’s conflict through discourse that links the national, regional, and grassroots levels in efforts to curb the civil war. 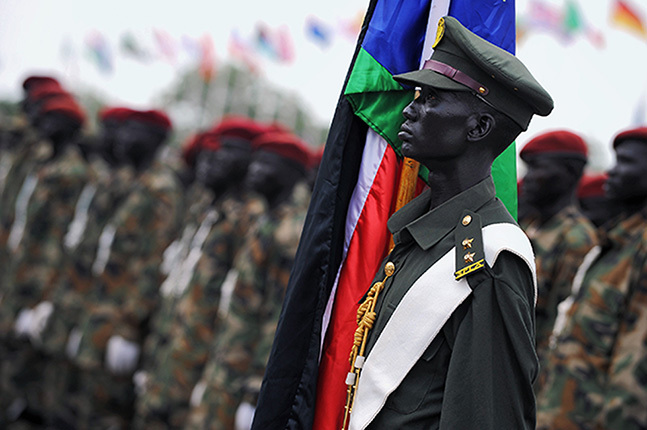 The civil war broke out in South Sudan in December 2013, after merely three years of relative peace. 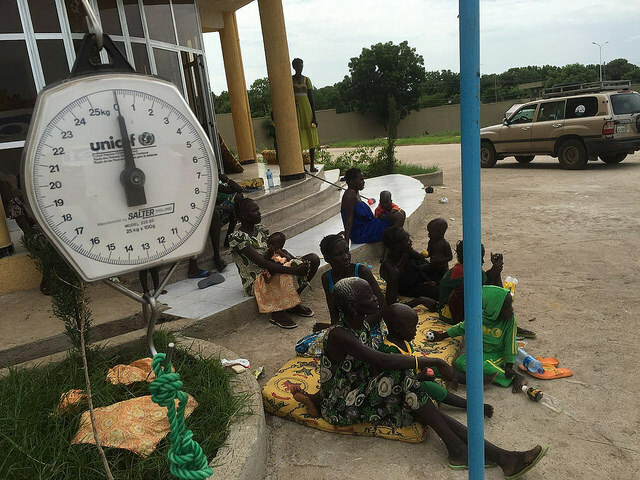 Since then, the war has quickly metamorphosed into a complex conflict that includes intense fighting within and between communities in different regions of South Sudan. 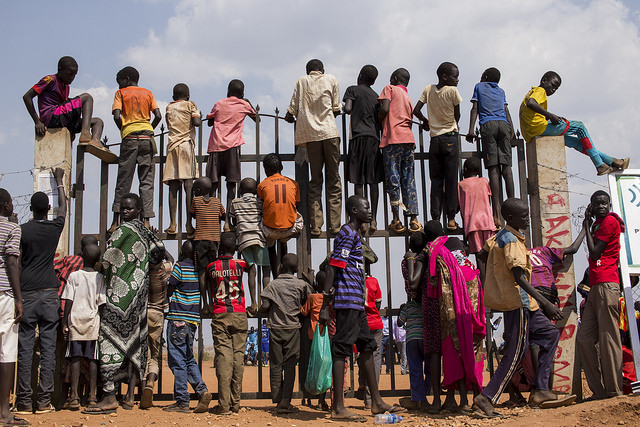 The conflict is motivated by several underlying political and social-economic factors including ethnic division, resource scarcity, marginalization of groups, and political rivalry mainly between the ruling South Sudan Liberation Movement/Army (SPLM) and SPLM-In Opposition. The National Dialogue is a part of an effort employed by the government to firstly confront the causes of the war, and at the same time bring about peace and positive development as the country struggles towards a cease-fire. Abducted children returned to Ethiopia. Photo courtesy of UNICEF Ethiopia via Flickr Commons. 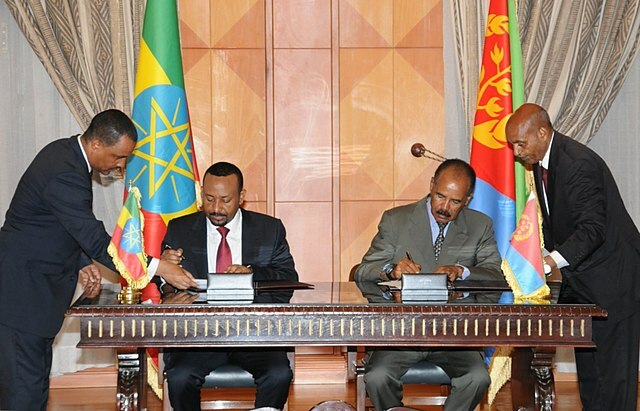 The Horn of Africa, and specifically, the borderland regions are areas of increasing criminality. Included in this crime are instances of inter-group child abduction which have become increasingly common along the international border. Most laws focus on parental child abduction, while fewer address abduction of children for criminal purposes. However, insurgents from the Murle people cross the international border and abduct children from the borderland communities of Ethiopia.